Mark with our guide Ryan catching some Brook Trout and more, on our outpost lakes and Wabatongushi. Towards the end is a highlight of Taylor cooking up fresh fish at our unique shore lunch offering. You’ll also see Taylor on the docks! You can reach us by train, float plane or drive “as far as you can” for your wilderness vacation. Let us know what you think of the show in the comments below! 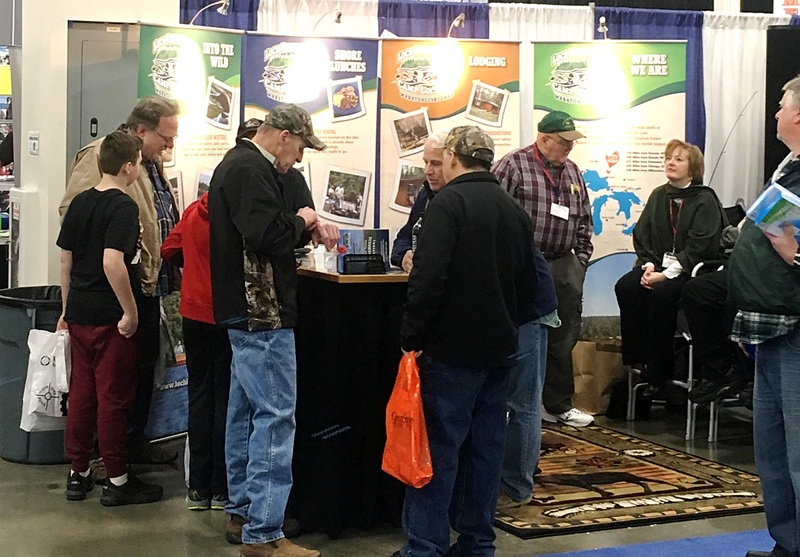 Second, in addition to seeing us from Loch Island at the at the Ultimate Fishing Show this week, Thurs, Jan 10th to Sun, Jan 13th, The New Fly Fisher’s Mark Melnyk and Colin Mckeown will be in the Algoma booth as well. You can talk to Mark about his experience at Loch Island, fishing both on the big lake and outpost lakes. Short video from their trip can be viewed on this blog post. The state-of-the-art Suburban Collection Showplace in the Detroit Suburb of Novi, MI is the premier facility with over 200,000 square feet of multi-purpose exposition space and 10,000 square feet of meeting and convention rooms. We look forward to seeing you at the booth! 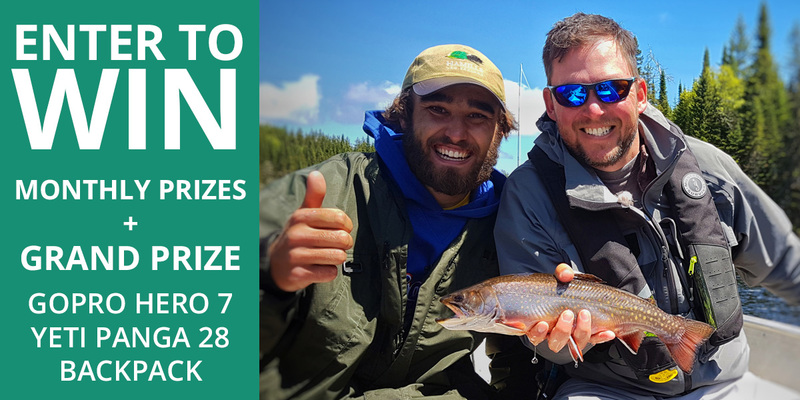 And submit and send us those fish photos for the contest! Only a few weeks away until we start our 2019 sport show season! Here is a list of the shows we’ll be exhibiting at this year. Be sure to stop by and say hello! We always love seeing you at the booth! … Or subscribe via email to our blog (box in sidebar, or at the bottom of the page) and you’ll get short email notifications of our new posts. November 12, 2018 January 19, 2019 Andy WilsonLeave a comment on Decks, Walkways, Decks and More Walkways! Big Upgrades at Otter Island! November 5, 2018 November 5, 2018 Andy WilsonLeave a comment on Big Upgrades at Otter Island! This fall, we’ve been working hard at the three bedroom cabin (Big Otter) on Otter Island! Returning guests will notice many improvements made for the 2019 season, and new guests will enjoy Big Otter’s wilderness comforts.